I woke up naturally at 7am. Breakfast is served at the hostel at 7:30am but I want to go back to Simply Natural! More Toro Pancakes! I get some coffee and sit and chat with other travelers at the hostel. Bill is staying at the hostel, also known as “Popcorn Bill” (not sure why). He is 76 and a total badass! 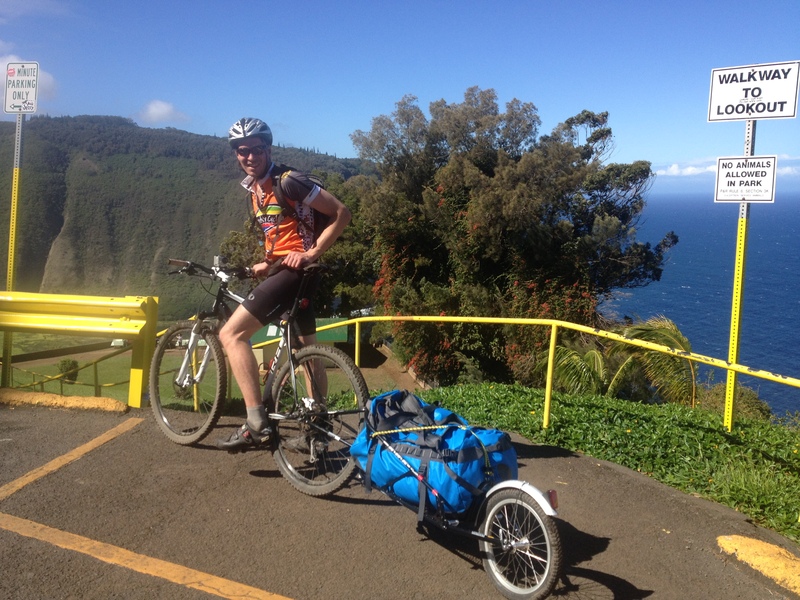 He has biked all over the world and is very well traveled. He used to live in a tent in Waipao valley. He still owns a bike from the 80’s! Nice! 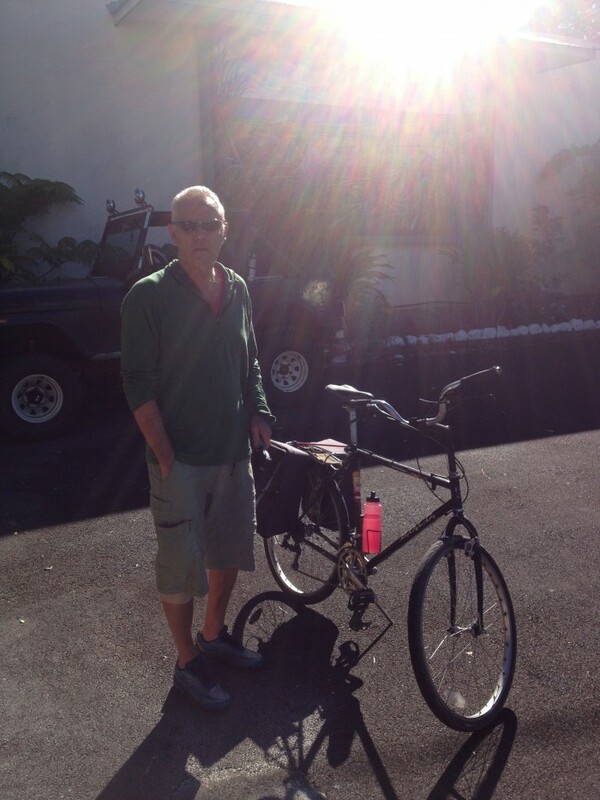 He was able to give me a lot of info about hiking to Waimanu Valley before I went. We talked about all sorts of topics. I hope to be a rock star like Bill at 76! He still hikes and rides his bike! Nice! After talking I was getting hungry and cruised back to Simply Natural. They are closed!!! NO!!!! I ask locals if there are any other places to eat breakfast in town, it is a small town. Unfortunately, there are not. Dang! I was sooo looking forward to going to Simply Natural! Umm… What to do??? I decide to go to the grocery store and buy 6 bagels for $7.00!!! Jeepers! That is sorta expensive! Oh well! 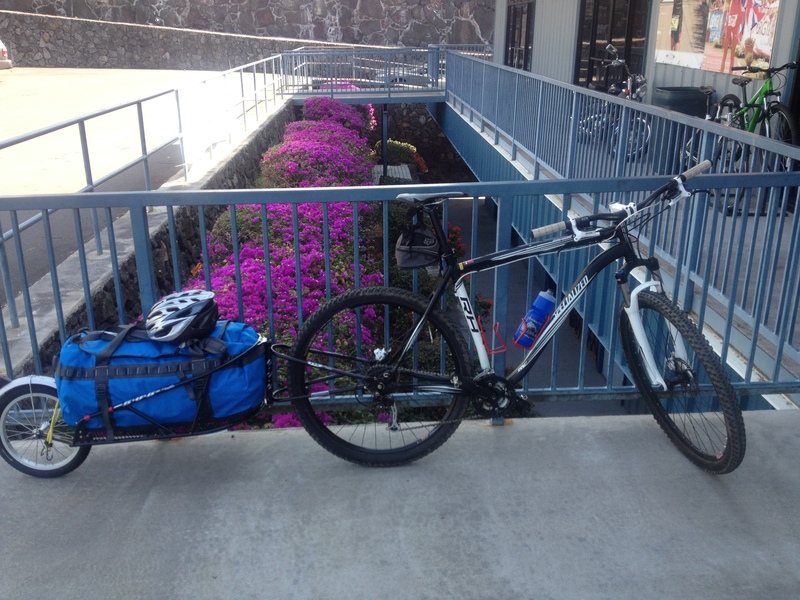 That is the cost for groceries on the big island… I get back to the Hostel and start loading my things. 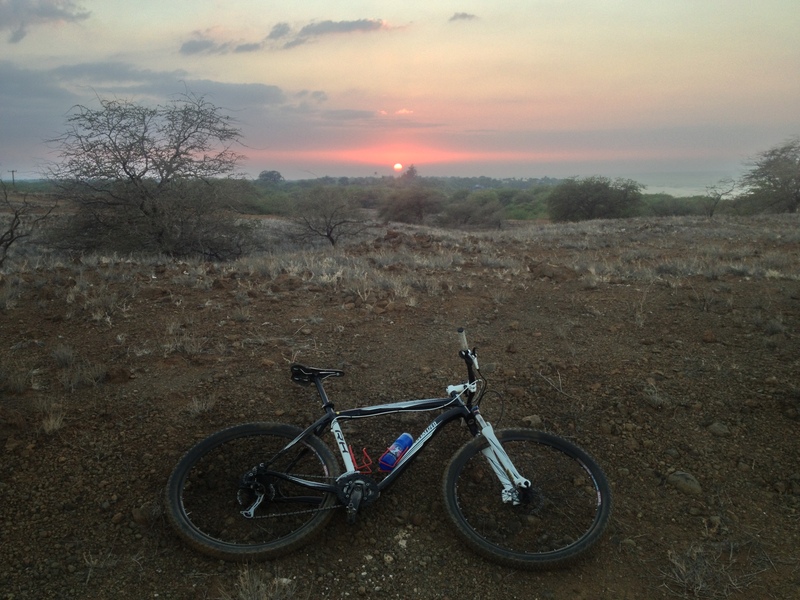 I load up and I notice that Bill is going for a ride at the same time but going towards Waipao Valley. Kool! We depart and go our separate ways. I leave the hostel at 10:30am, a little later than I was hoping for but lazy days are good days. Well, guess what!?!? The wind is blowing. Big surprise…and of course it is blowing towards me. As if biking with a trailer is not hard enough. At least I do not have to go up hill! The road to Hilo is not too bad. It has ample shoulder and has some manageable inclines and declines. 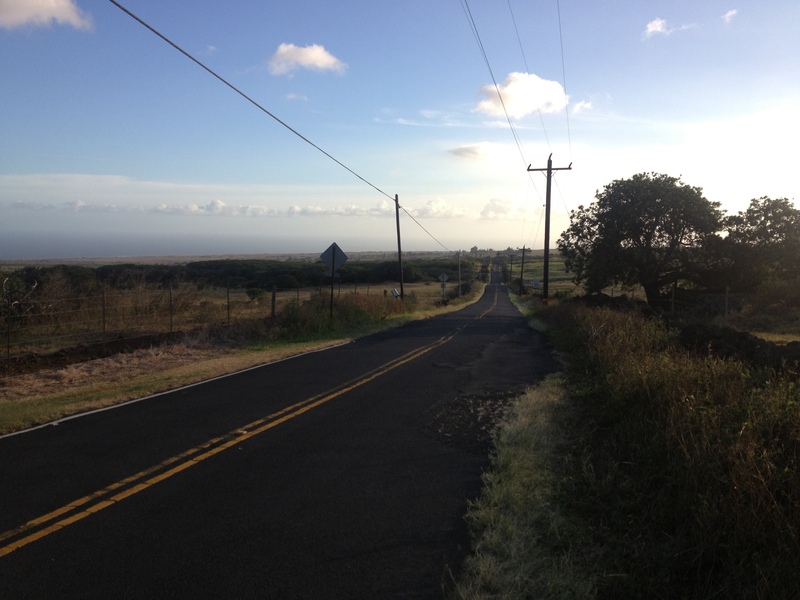 Nothing like ascending to Waimea! 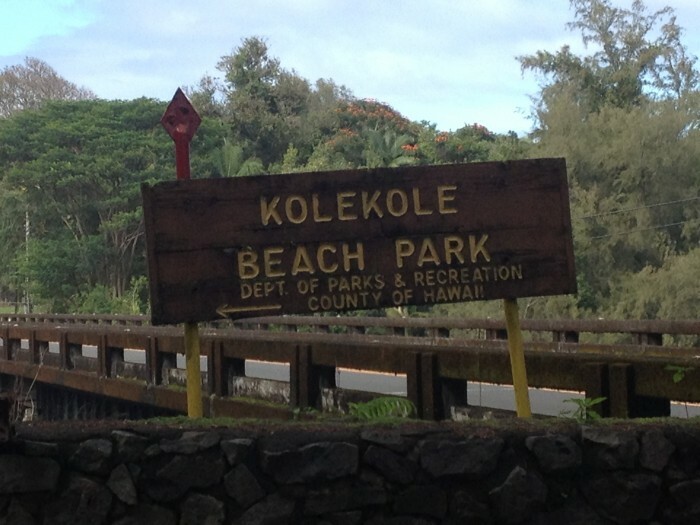 I stop at Kole Kole park and have lunch. It is very lush and has a river that is going next to the park. I ate some more peanut butter, honey and bagels. That is my staple. I hop back on the bike and keep cruising. I was hoping to stop at a smoothie shop but there are none that I pass by. Once I am 10 miles outside of town there is a “scenic road” that hooks back up to the main hwy. I decide to take it thinking that there would be less traffic… Not so much. I take the turn-off, cruise several blocks and bam! 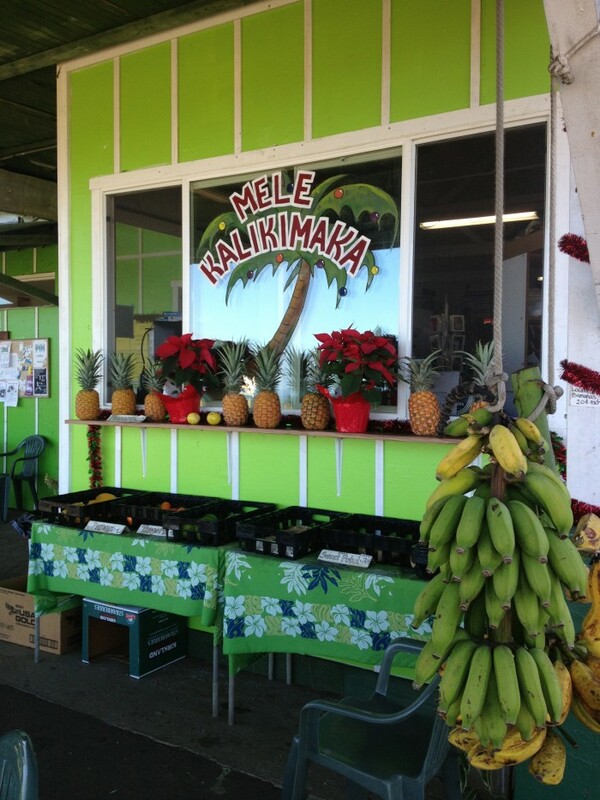 There is a smoothie shop called, “Mele Kalikimaka!” Score! I get a Papaya, Mango and Guava smoothie! mmm… Just what I needed. The road continues for a few miles but has alot of tourist traffic…(Including me) It is also very narrow in spots. 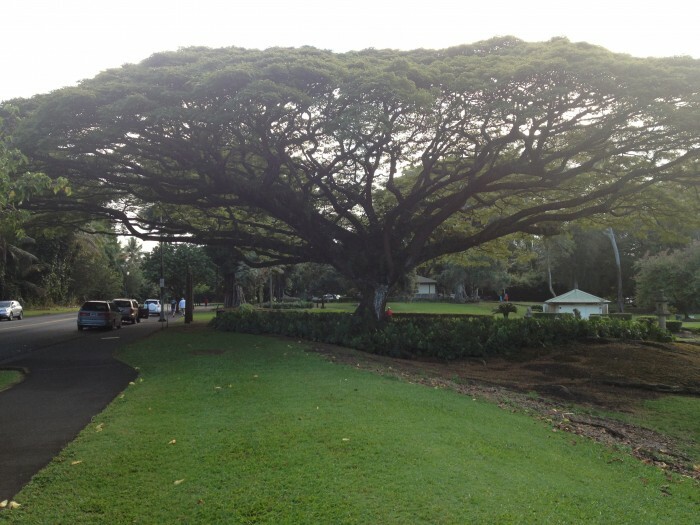 I connect back to the main hwy, cruise a few more miles and arrive to Hilo. 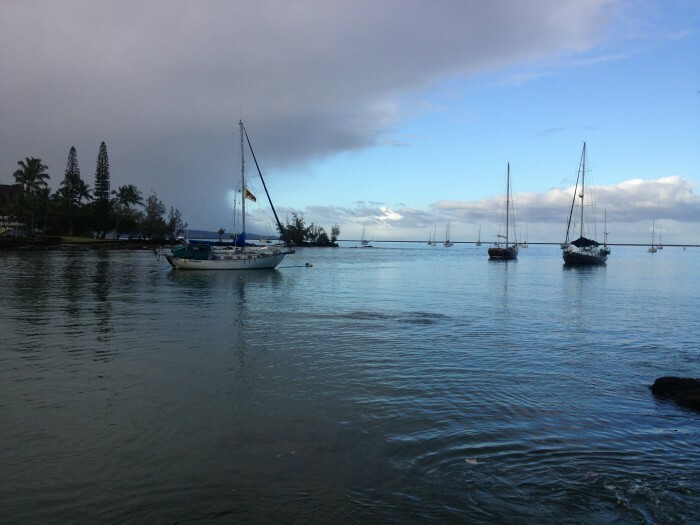 I find the Hilo Bay Hostel. I have reservations. I check-in and get situated. I do some laundry and call Dalen. A guy that I sat next to on the plane who is from Seattle. I told him that I would call him when I got to Hilo. 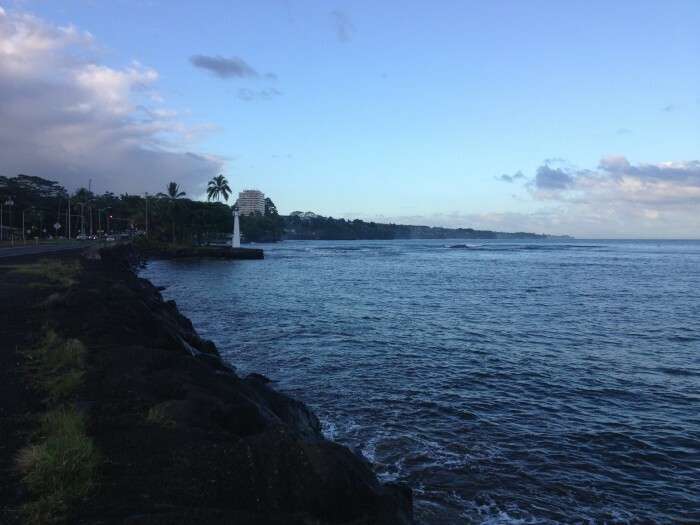 He is staying south of Hilo about 30 minutes but we made plans to grab dinner in Hilo! Kool! 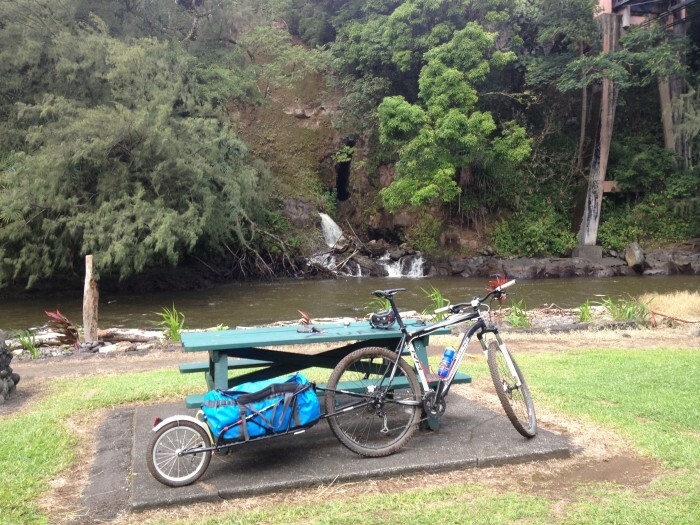 Meanwhile, I take the trailer off the bike and cruise around Hilo. It is alot lighter and easier to maneuver without the trailer… I cruise to the water front and follow the trails that lead to several beautiful parks. I get back to the Hostel and meet up with Dalen. We got dinner at a local Thai restaurant. It was really good. I got Phad Thai and a mango/rice dessert. Mmm! I have definitely been eating well while traveling the island! Afterwords, Dalen needed to cruise back to his place but we may meet up again since I am headed in the same direction tomorrow to Mackenzie State Park!